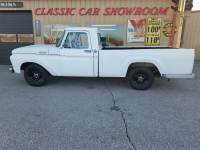 ...GET IT SHIPPED Free Auto Shipping Quote: 1962 Ford truck. Good condition. 302 motor. runs good. has been in car shows and parades.